BFS is NOW 4-0!! BLUE PRIDE!! 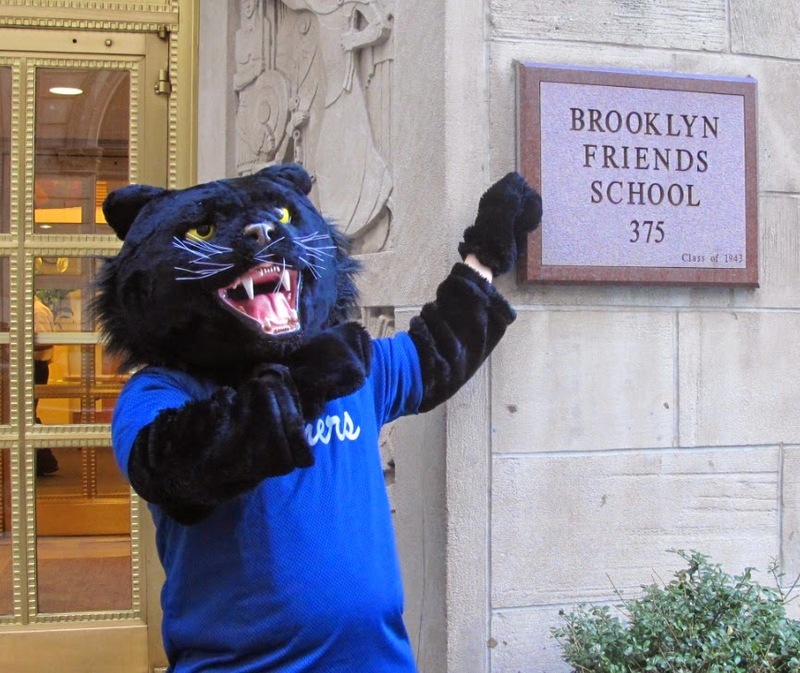 Over 65 upper school students will be participating in their first game of the season! Thanks to the FANS that came out to catch the action!! See you at the next game!! 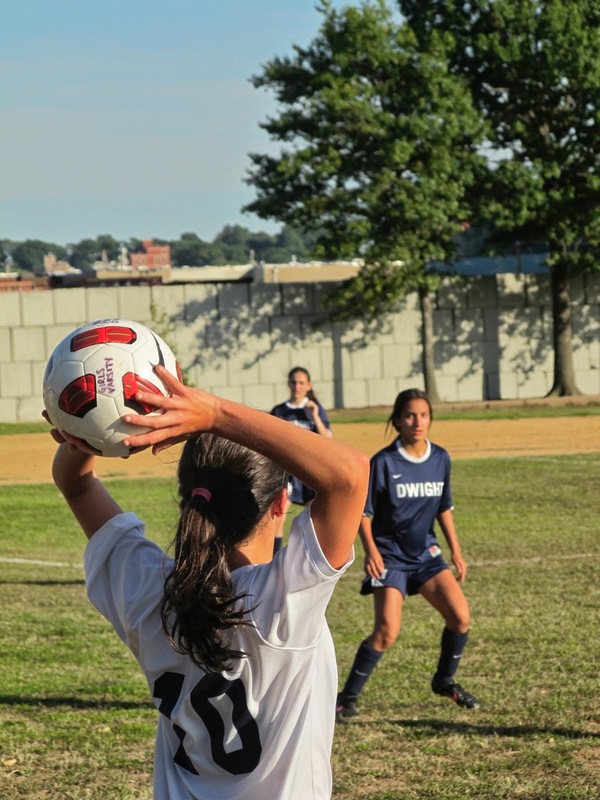 On Friday the BFS Girls Varsity Soccer Team defeated Dwight 8-0 at Red Hook. The team kicked off the season. Devon O. scored four goals in her first high school game, as the BFS Panthers began their defense of the ISAL Championship with a resounding 8-0 victory. 2013 NYC Player of the Year nominee, Halima M. continued her prolific high school goalscoring career with a “hat-trick” (3 goals) and freshman Jonae O. grabbed her first goal in BFS colors. Three assists came from freshman Niamh H., along with other assists from Manya C. (2), Naya C., Halima M., and Allie P.
In a dominating performance led by senior captain Louisa G., BFS racked up 25 shots on goal, and limited Dwight to just one which came in the final minute of the game. Freshman, Molly R. started the game as goalkeeper and kept a clean sheetBFS graduated seven seniors and welcomed a mix of ten new and returning players into the fold. With two key senior captains absent through season-long injuries and illness, it’s a new look team that aims to continue their winning start to the season against Berkeley Carroll on Monday at Met Oval. The BFS Boys Varsity Soccer Team defeated Staten Island Academy 2-0 at Red Hook. The boys started the season off on the right foot with the opening day victory. The Panthers began the game with high intensity and pressure. Senior Lucas M. got the Panthers going after creating a chance for himself that went just wide of the near post. Junior striker Henry K. led the team scoring both goals in the first half. His first came in the 16th minute after first year player, junior Zac Benares, won the ball in the midfield to make a through ball that beat the back line. With the perfect pass this left Henry 1-vs-1 with the keeper and there was only going to be one winner in that battle. Showing great composure, Henry simply slipped the ball under the diving keeper to make the score 1-0. The Panthers kept the pressure on their opponents with both junior Quran D. and senior Lucas M. coming close to adding a second goal. But the second one came right before the halftime whistle after Henry K. was taken down in the box for a penalty kick. He stepped up to the spot to pass in his and the teams second goal. BFS took a 2-0 lead into the half. The second half was no difference with the Panthers creating chance after chance to attempt to get themselves a larger lead. Both junior Colin P. and sophomore Charlie S. came close to adding their names to the score sheet. Freshman goalie Justin W. recorded a shutout with 6 saves in his first game at BFS. Honorable Mentions: Henry J., Isaac H., Ben F., and Sam F.
The BFS Girls Varsity Volleyball Team defeated Staten Island Academy 3-0 (25-16, 25-16, 25-18) at St. Francis College. This game presented the team with a great opportunity to see what we do well, and what we need to keep improving on. Overall, the young team, composed of 5 returning players and 8 new members, showed great enthusiasm and determination. After graduating 6 seniors last year, the team is focused on developing its own style of play, and continue building up our great BFS volleyball tradition. Once the girls get used to each other, and continue understanding each player’s role, the team will present a great challenge to our opponents throughout the season. 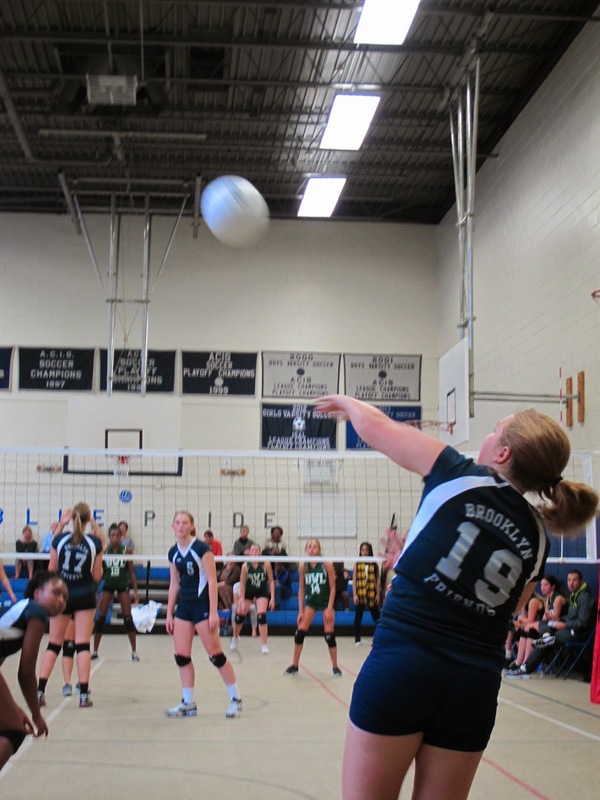 The BFS Girls JV Volleyball Team defeated Staten Island Academy 2-0 (25-6, 25-15) in the upper gym. The team got off to a great start, composed of six returning players and eleven new players, were both excited and nervous at the beginning of their first match of the season. As the match progressed, the returning players helped the new players with the rotations, plus set the tempo of play. Everyone on the team served with consistency and confidence. The coaches look forward to working with this enthusiastic and committed group of athletes as they develop their skills and team chemistry. « BFS Participates in the People’s Climate March!